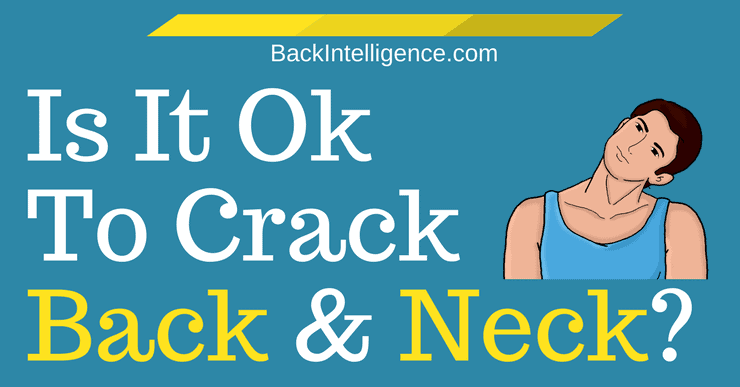 Home » Blog » Neck And Shoulder Pain » Is it bad to crack your own back or neck? If you find yourself trying to crack your own back or neck because of tightness or stiffness, you’re not alone; I find that many of my patients report doing this from time to time. The question is – is it bad to crack your own back and neck? Well, the answer is ambiguous…. sometimes it’s ok, and other times it’s not. While this sounds like a confusing answer, it won’t be as you read through this article. –	It helps to relieve muscle tension. –	It’s just a bad habit that I just can’t seem to quit. You’ve likely experienced unforced cracking from time to time. This type of cracking occurs when you’re performing normal, gentle movements. For example, certain yoga poses, and certain everyday activities like sitting at your desk staring at your computer screen for an extended period of time followed by stretching your neck from side to side, can result in a cracking or popping sensation. This sensation is the result of built up pressure in the spine releasing. Unforced cracking, as long as it isn’t accompanied by pain, isn’t harmful to your body. On the other hand, forced cracking is when you intentionally force your back or neck to crack by twisting, and/or pulling using your hands, or by having a friend bear hug you or walk on your back. While unforced cracking is generally safe, forced cracking can lead to serious issues, as we’ll discuss later in this article. You might be wondering what causes the snapping, cracking, or popping noise? The answer is quite simple – it’s gas bubbles being released. In scientific terms, this noise is referred to as cavitation. This happens because in addition to the lubricating synovial fluid, your joints also contain nitrogen, oxygen, and carbon dioxide. When the fluid is put under pressure, from stretching, twisting, or pushing on the spine, the gases are released, which sometimes leads to an audible sounds that is often described as a “pop”, “crack”, or “snap”. The main issue with cracking your own back or neck is that you’re not usually adjusting the joint that needs to be manipulated. Let me explain, when you twist or bend to crack your own back, the joints that “pop” are typically the ones that can already move, not the restricted ones. Since you’re not able to know, or direct the force you’re applying, to the restricted joint, you’re essentially cracking your healthy joints. While this may provide temporary relief, it’s not actually fixing the restricted joint area, which is the real source of the problem. In addition to cracking the wrong areas, there are additional dangers to cracking your own back or neck if you do it forecfully. Let’s take a look at some of the potential dangers you face if you find yourself constantly cracking your own back or neck. The more you force a joint beyond its normal range of motion, the more you stretch the ligaments surrounding the joint. Think of your ligaments like a rubber band – if you repeatedly stretch them, they can lose their shape. This can lead to joint instability because the ligaments are no longer able to hold the joint in place properly. If you crack your back or neck constantly, or too forcefully, you can actually irritate the structures around your spine, which can lead to muscle spasm and even a pinched nerve. If you have an existing disc herniation or bulge, the force that you’re applying to your spine can pull it in the wrong direction, thereby irritating the disc further. This can lead to increased pain and other symptoms such as numbness and tingling in the extremities. 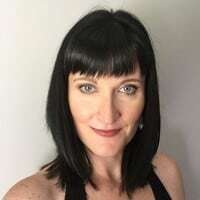 This is rare, but if you apply crack your own back or neck too forcefully, or have a friend that is not properly trained in spinal manipulation, a spinal cord injury can result. While this is extremely rare, cracking your neck constantly, or too forcefully, can damage the blood vessels in your neck and can even lead to blood clotting, which can block the flow of blood to your brain. Additionally, if you suffer from vertebral insufficiency, meaning that one of the blood vessels in your neck is compromised, and you’re unaware of your condition, cracking your neck can be incredibly dangerous and can even lead to stroke. By fixing the underlying issues with your back, you’ll hopefully be less inclined to crack your own back or neck. Often the muscle tension that you’re trying to relieve by cracking your own back or neck is due to poor posture. Mainly, forward head posture, rounded shoulders, rounding of the upper back, and lower back arching. Thankfully, correcting these postural abnormalities can help to relieve muscle tension and decrease pain. Whole body posture exercises are a great way to start fixing your posture. If you find yourself wanting to crack your own back or neck to relieve muscle tension that you’re experiencing, resist the urge to crack and learn some self massage techniques. These techniques can help to relieve muscle tension and trigger points throughout the body and can be performed from the comfort of your own home. Decompressing your spine and muscles can help to relieve the tension you’re experiencing in your back and neck, so that you don’t get the urge to crack yourself as often. Check out these spine decompression exercises. If you find yourself constantly forcefully cracking your own back or neck, try to resist the urge to avoid causing further damage. Correcting any postural abnormalities, stretching, and learning self-massage techniques can put you on the right path towards addressing any underlying muscle or joint issues. If you continue to have an urge to crack your own back, consider seeking out a professional that is thoroughly trained in spinal manipulation, such as a chiropractor, physical therapist, or osteopath. They will perform a thorough physical examination and perform controlled spinal manipulation to help resolve your discomfort.